Evening dresses are just as important to women as the first meal of the day! There are simply so many occasions and celebrations occurring all year round which makes evening dresses for women a necessity rather than a luxury. Follow these 5 unarguable golden rules and you will definitely look super gorgeous the next time you try on an evening dress. The first rule to look beautiful in an evening dress is to have chosen the color appropriately. It is essential that you are aware of your skin tone. Not all colors of evening dresses for women will look appealing on everybody. Skin tones can be summarized to three main groups – warm, neutral and cool. It is important that you wear evening dresses that complement your natural tone. However, some colors complement every skin tone. Pink, teal green, brilliant red and dark hued purple evening dresses for women look glorious on all skin types. The texture and the material of the fabric also play an important role in the selection of the evening dresses. It determines how well the dress will look on your body. Sure you do not want to look outdated – that is why following the latest trends is a state of emergency, quite literally. V – Necked Capped evening dresses with laces, high-low hunter evening dresses with sleeves, organza and chiffon evening dresses with straps have been storming the runways of 2016. Accessories complete the ultimate look. While women in Asia and Middle East tend to accessorize the evening dresses heavily, most females in other parts of the world like Canada. United States, United Kingdom and Australia do not wear heavy embellishments with beautiful evening dresses. If you are wearing a plain evening dress, then embellishments will accentuate the beauty of the evening dresses. However, if the dress is already lavishly embroidered and has sequins, then it might project a tawdry appearance. The way evening dresses for women are accessorized plays an important part in enhancing the final look. When you are evaluating your options for evening gowns and short dresses, it is crucial to know that these may not do justice to your body type. Meet a professional stylist and ask for recommendations or you may shop at topnotch malls and department stores for evening dresses for women and ask the professionals there to assess your body type. Some great place to buy your next cocktail and evening dresses are Lord & Taylor, Prom Girl, Nordstrom and Overstock. No matter which type of evening dress you adorn, it is your confidence that will make you rock the party. Your self-assurance will make people topple head over heels just to have a second glance at you. 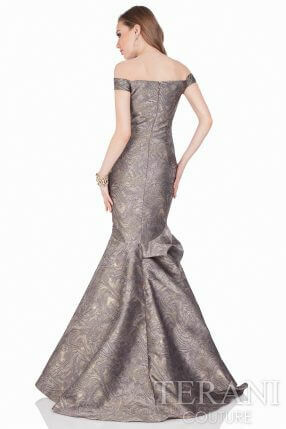 Wearing the most elegant evening dress without confidence will only bring the overall look and aura down.